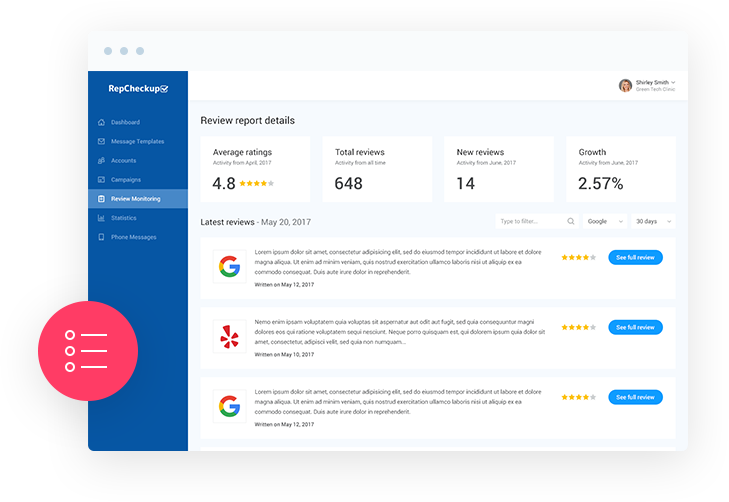 Monitor all of your online ratings and review from one simple dashboard. 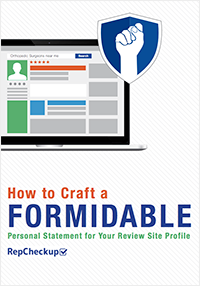 Save time when you monitor your online review profiles on websites across the internet from one simple dashboard. No need to check your individual online profiles ever again. Get performance insights for the locations and providers monitored by the system. 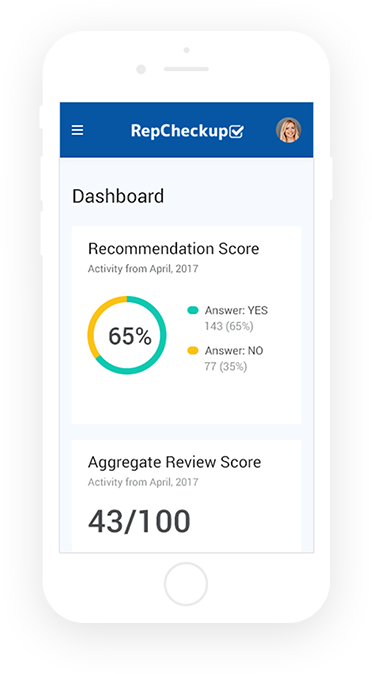 Use analytics and insights that aggregate your review scores across multiple websites to model and improve the customer or patient experience. Monthly reporting makes it easy to review performance and implement any necessary changes. View campaign performance anytime by logging into the software or create ad hoc reports you can export and share. How long does it take to get started with RepCheckup? It takes about 10 minutes for you to setup your account. After that, you’ll be ready to start real-time monitoring of the review sites that list your businesses across the web. You can immediately begin sending email and text message review solicitations. Most customers spend anywhere from 10 to 30 minutes each week sending out solicitations and checking in on what’s being said about them. Why isn’t RepCheckup cheaper - it’s just an app? Cheaper compared to what? The cost of a bad online review or overall reputation? We think not so, m' lord! But, in all seriousness, gaining just one customer per month by having a highly visible, positive online reputation that they can see often pays for our product itself. How Can I Access the Online Review Dashboard? We like keeping things simple for our customers. That’s why accessing your online review dashboard is as easy as logging in. Right away, you’ll be able to see all the information you need regarding your recommendations score, new reviews, your ratings, and quick access to sending out a new batch of review solicitations. How Often Does the Online Review Dashboard Update? Daily! Our goal for RepCheckup was to create a tool that makes reputation management easy for business owners and managers. That’s why the online review dashboard updates daily – so you can keep up to date on what customers are saying and always request feedback from new customers. Who Else Has Access to My Online Review Dashboard? Unless you specifically designate someone to have access, or give them your own login, no one is able to access and view your online review dashboard. Keeping your information safe and secure is our top priority. That’s why everyone on our team is HIPAA certified and our tools are built with privacy in mind.